This tour enables us to discover some of the most characteristic and authentic attractions of one of the richest cities in the world for contrasts and treasures: Naples. We begin our excursion by heading to the heart of the historic centre to visit the Cappella Sansevero, a true treasure trove where we can admire priceless works of art and oddities shrouded in mystery. The credit for this splendour must go to Raimondo di Sangro, Prince of Sansevero, who decorated the family chapel with frescoes and sculptures in the 18th century . In addition to the works of art, the Chapel hosts two "creatures" devised by the Prince, who was a scientist and an alchemist, together with Giuseppe Salerno, a doctor from Palermo. They are known as Anatomical machines: two skeletons, one of a man and the other of a woman, standing upright, their circulatory systems almost perfectly preserved. Some notary's deeds have been found that date these creations to 1763/64. The techniques and materials used to preserve the system of veins and arteries in such an exceptional way remain a mystery to this very day. After visiting the chapel, we take a walk around the historic centre which leads us to Via San Gregorio Armeno, the famous "via dei presepi" (street of the nativity scenes), where skilled craftsmen work all year round to create the small models used in the nativity scenes for which the city is famous. This street, which is popularly known as "San Liguoro", bears traits of the typical Greek town plan, with its stenopoi (secondary streets) . 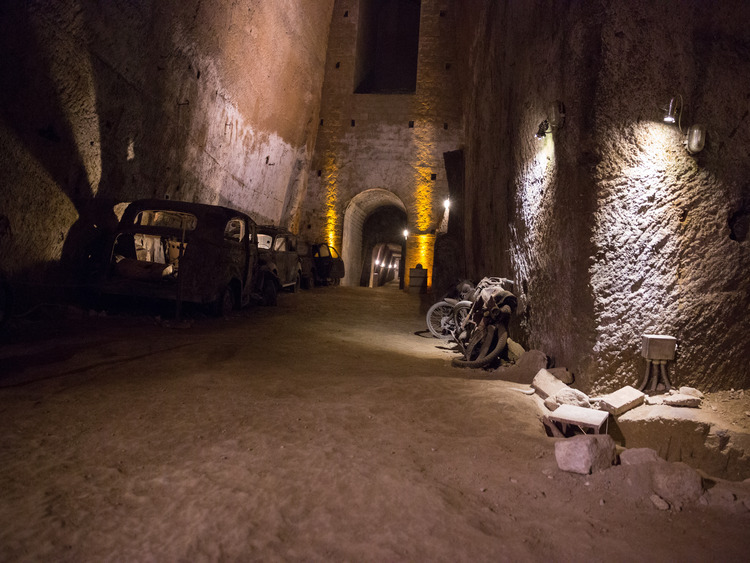 The next stop is Napoli Sotterranea (Naples Underground), a system of catacombs, tunnels, secret passages and Greek-Roman aqueducts that runs for hundreds of kilometres beneath the city. It is a fascinating, mysterious place which, over the centuries, has been used as a place of pagan worship and a Christian catacomb, as well as housing granaries and water tanks. During the Second World War, it was used as an air-raid shelter. When we come back up to the surface, we are offered a taste of typical local products. The specialities of Campania and Naples in particular are an absolute delight for the palate which we cannot miss before returning on board. This excursion is not recommended for guests with mobility problems and those who suffer from claustrophobia. This excursion visits some particularly suggestive locations and, as such, is not recommended to guests of a sensitive disposition or to children.